Today at Anahera we are delighted to have received two nominations in the Ngā Kupu Ora Aotearoa Māori Book Awards 2014. Ben Brown has received a nomination in the Fiction category for Between the Kindling and the Blaze, and Kiri Piahana-Wong is nominated in the same category for her debut collection Night Swimming. We wish both our authors the best of luck! Winners will be announced next week. More info here. You are warmly invited to the Auckland launch of Ben Brown’s poetry collection, Between the Kindling and the Blaze: reflections on the concept of mana. Held in conjunction with Poetry Live, with music by Aaron Tokona (AhoriBuzz/Cairo Knife Fight), readings from the book by Ben, poetry open mic, and music open jam after the launch until closing. Poetry Live is an iconic poetry event (running weekly for 30+ years) held every Tuesday night at the Thirsty Dog, cnr Karangahape Rd & Howe St, Auckland City. Street parking free in the evening. Books will be for sale on the night at a special launch price of $25 (RRP $27.99). Don’t miss this rare chance to hear Ben read in Auckland. Between the Kindling and the Blaze: out now! We are very happy to announce that Between the Kindling and the Blaze: reflections on the concept of mana by Ben Brown is now available. This title is a book containing poetry and short prose pieces with 10-track audio cd, RRP $27.99 (trade orders please email us). Happy reading from Anahera Press! Between the Kindling and the Blaze: out soon! 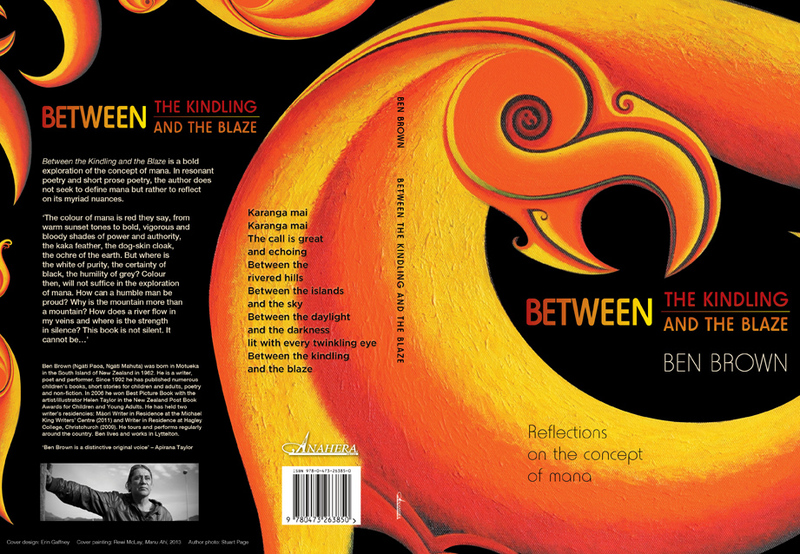 For the last month at Anahera Press we have been working with the designer on the final proofs of Ben Brown’s forthcoming poetry collection, Between the Kindling and the Blaze: reflections on the concept of mana. The book is now looking stunning inside and out, and is off to the printer’s this week! We have also been fine-tuning the audio CD that will accompany the book, and that is now in the final stages too. Kindling will be launched in the author’s hometown of Lyttleton on Thursday 28 November. General release date (into bookshops etc) is 2 December. Pre-orders are available now on the website, just click the Books tab. In the meantime, we hope you enjoy this preview of the cover! Is this a publishing company or a band?? Last Thursday Anahera Press headed out to artist Rewi McLay’s whare in Mt Albert, West Auckland. We were there to photograph Rewi’s gorgeous painting, ‘Manu Ahi’, which is to be used as the basis of the cover of Ben Brown’s forthcoming poetry collection, ‘Between the Kindling and the Blaze.’ Our photographer also took the opportunity to snap a few shots of Ben, and just as we were leaving, captured this Outrageous Fortune-style moment outside Rewi’s house. On left, publisher Kiri Piahana-Wong; in middle with guitar, Rewi McLay; and on right, author Ben Brown. Image credit Rowan Klevstul. 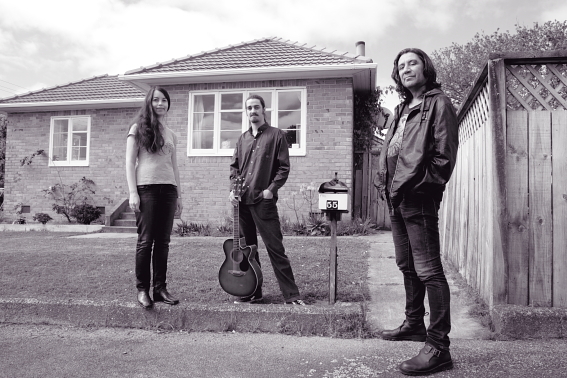 Check out Anahera poet Ben Brown speaking on National Radio about his poetry, life in Lyttleton and escapades in NZ and Australia. Also features Ben performing some of his most well-known poems. After taking a hiatus in 2012, Anahera is delighted to announce we have two poetry books forthcoming in 2013. The first is publisher Kiri Piahana-Wong’s first collection, night swimming – release date June. The second is Between the Kindling and the Blaze: personal reflections on the concept of mana, by Ben Brown (written on the Māori writer’s residency at the Michael King Writer’s Centre in 2011). Release date early December. Ben is an award-winning children’s book author and renowned performance poet – Between the Kindling is his first poetry collection. 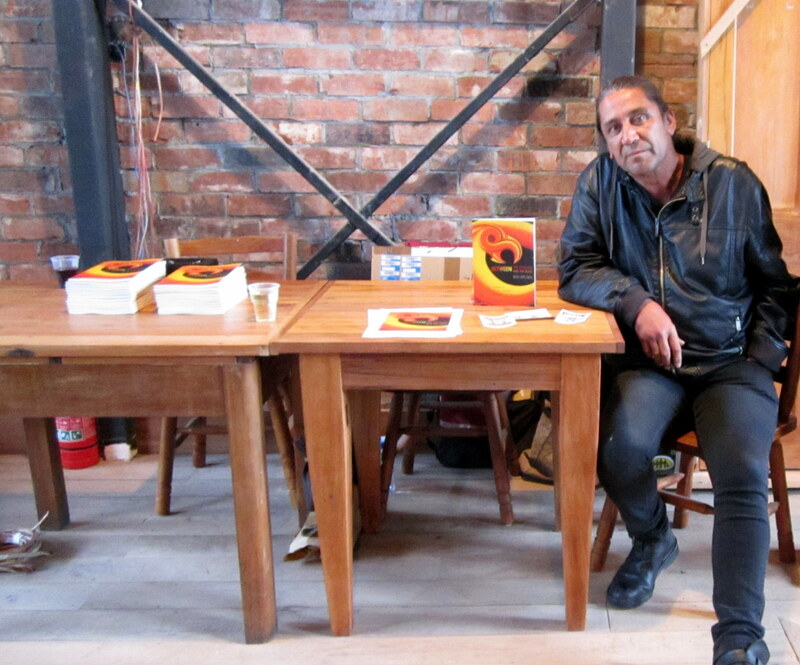 This book will be launched in both the poet’s home town of Lyttleton and in Auckland. So an exciting year ahead! We will also shortly re-open for submissions. Please keep an eye on our ‘Contact’ page for further details.